The National’s Matt Berninger Chats With NPR | True Endeavors Presents: music, tours, tickets, mp3 downloads, concert pictures, videos, Madison WI. The Boston Globe remarked that The National’s latest album, Trouble Will Find Me, is “a haunted and lugubrious meditation on loss and despair.” Not exactly party tunes, but that hasn’t stopped the indie world from embracing the band’s music with a warm embrace. Rather, perhaps it’s because of the heavy, sincere emotions that they conjure that their art feels much like an old friend. NPR recently spoke to frontman Matt Berninger about those feelings, where the band has been, where they’re headed, and family ties. Read their full interview here. 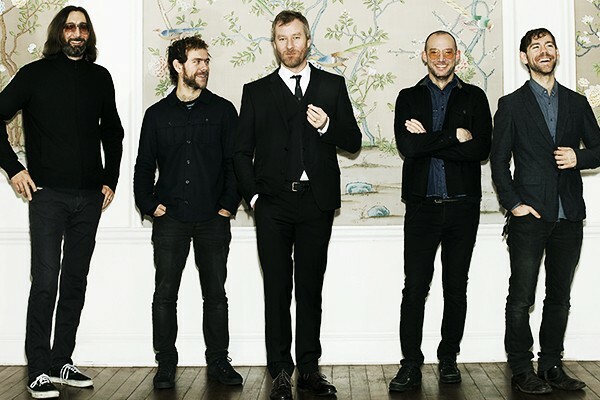 Catch The National in Madison on September 15 when they play the Orpheum Theater with Frightened Rabbit. Click here to get your tickets now.